The average teething age of babies is six months. It is quite common for them to start teething as early as three months of age. Likewise in many of them the teething may start as late as twelve months of age. The milk teeth start appearing sooner in girls than in boys. The general pattern of emergence of deciduous teeth is as follows. The central incisors emerge first at the age of 6-12 months. The lower central incisors start emerging earlier than the upper central incisors. The emergence of the lateral incisors may occur at 9-16 months of age. The emergence of the canine teeth may commence by the 16th month of age and by 24th month all the canines will have emerged. The first molars start emerging by 14 months and by 20th month all four first molars will have emerged. The emergence of the second molars may commence by 20 months and get completed by 24 months. The emerging of teeth may go on till 3 years in some children which it is quite normal. Delayed teething beyond 18 months requires a visit to a dentist as there may be some underlying health problem. There are many exceptions to the above pattern. 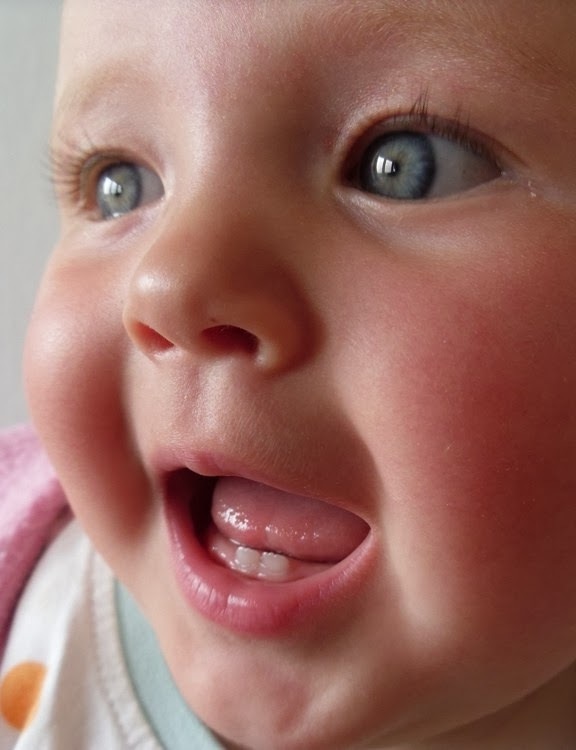 Neonatal teeth are the teeth present at the time of birth. If the emergence of teeth occurs by the first month, the teeth are known as natal teeth. There are many teething problems to be faced by the baby. Teething symptoms in them include irritability, tender and swollen gums and pain. They may try to place fingers or objects into the mouth to find relief. At the time of emergence of teeth from the gums they may suffer from teething pain. In some cases there may be mild teething fever due to mild gum infections. The excessive drooling may cause teething rash on the face. There are many known home remedies for teething to bring relief to the baby. Whatever may be the age of teeth emergence, dentists recommend brushing teeth as soon as they appear. It is not advisable to wait till 2-3 years for the teething to complete before starting to brush. Early childhood caries (ECC) in babies of over 6 months of age is becoming more common. Nursing caries occur in prolonged breast-fed children and in those continuing bedtime breast-feeding. Lack of oral hygiene by 18 months is also a risk factor for ECC. Pregnancy related pelvic girdle pain. Chronic low back pain treatment. Back pain from heavy backpacks. Health benefits of barley grass juice. Aspirin for prevention of colorectal cancer.